silver listening to some tunes!!. . Wallpaper and background images in the Silver the Hedgehog club. kawaii desu! :D I love iit! 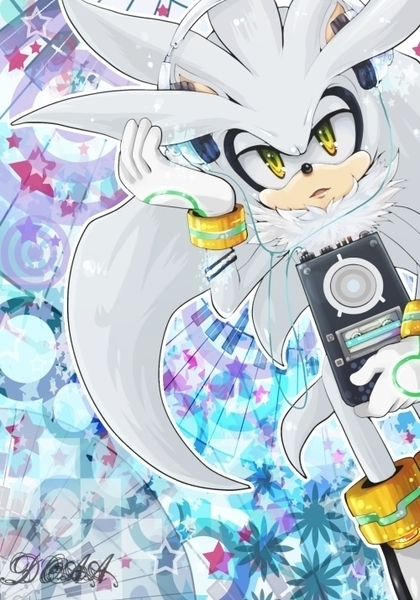 dark silver I think u mean I look gay I'm the real silver your just a poser also I DON'T LOOK GAY I HAVE A PURPLE CAT GIRL FRIEND wow that sounds so weird. What does it matter your pathetic in ur own ways silvers hahaha!!! "Heh, oh Silver, that's cuute!" He's listening to 'Dreams of an Absolution'. And it's cute.